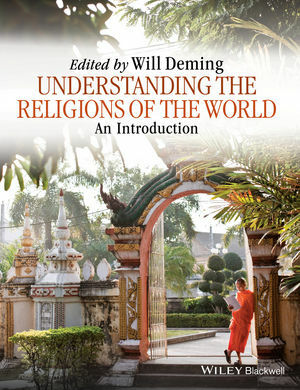 Understanding the Religions of the World offers a new approach to the study of religion which moves away from the purely descriptive and instead helps students understand how religions actually ‘work’. Covering all the main faith traditions, it combines historical context, contemporary beliefs and practices, and original theory, with numerous study features and valuable overviews. Will Deming is a Professor in the Department of Theology at the University of Portland. He specializes in Pauline Studies and his primary academic interests are in New Testament, early Christian literature, Second Temple Judaism, and Greco-Roman culture. His major publications include Rethinking Religion (2005) and Paul on Marriage and Celibacy, 2nd edition (2004).